Lt. Dan! You got new legs! 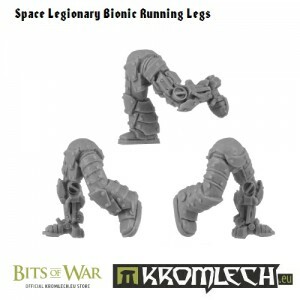 Kromlec has released some new bionic legs, in a running pose, over in their webshop. today we have a new release. Space Legionary Bionic Running Legs. With this set we have seven different options of legionary legs.